We all need a good decent night’s sleep to feel good and function to our maximum in the day. Whether you have the occasional restless night, are going through a rough patch sleeping or are a chronic insomniac, there are many tips here to help you find your way to a better night’s sleep. Ensure your body is relaxed before bedtime. When you are trying to sleep, is your body tense? Check your jaw. Are you clenching it? Are your shoulders raised up towards your ears? Are your hands relaxed or in a fist? There are many gradual relaxation techniques that you can do in bed. Click here for one that that is widely used. Try a course of complementary therapies such as Reflexology, Aromatherapy, Reiki or even Lymph Drainage Massage. The deep relaxation achieved can be quite long lasting. The majority of my clients report improved sleep patterns many after even 1 or 2 treatments. Watch your breath! When you are in bed, just observe the breath going in and out of your nose and chest. Do not change your breathing pattern, do not try to take deep breaths. Breath normally and observe with an inner watchfulness, This technique, practised correctly, centres you and takes your mind away from thoughts. You should find yourself drifting off in no time. Have a warm (not too hot) bath with calming, sedative essential oils such as Lavender, Roman Chamomile or Restful Sleep before bedtime. 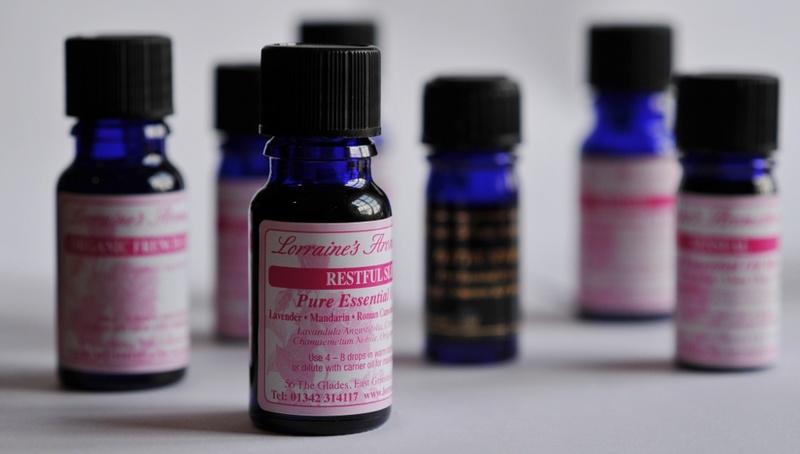 These same oils can be sprinkled on your pillowcase or diffused in the bedroom with an essential oil burner/diffuser (only 1 or 2 drops otherwise it will over stimulate) . 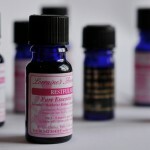 Please refer to my page on safe use of essential oils in the home. Find a good night time herbal tea blend and have a small cup before bedtime. There are many yummy blends out there. I love the one by Celestial Seasonings. These are just 5 of my favourite ways of sleeping well. What tips do you have? I would love you to share them here. Wonderful article, Lorraine. Last night I tried the relaxation technique you suggested, in conjunction with using Restful Sleep (which I’d recommend to anyone in a heartbeat) and I slept like a baby! That’s pretty impressive given my sleep is usually very broken and I have a tendency to tense up and grind my teeth. I think this is a great article. The one thing I fond really works for me is to do a really good workout about three hours before I’m intending to go to bed. It’s pretty much trying to tire yourself out. Then a nice warm shower followed by a mug of hot chocolate curled up with a blanket in front of the tv and I’m gone as soon as I hit the pillow!